This week when Prime Minister Justin Trudeau was visiting the UK, he was greeted by anti-pipeline protesters angry over the controversial Kinder Morgan project. 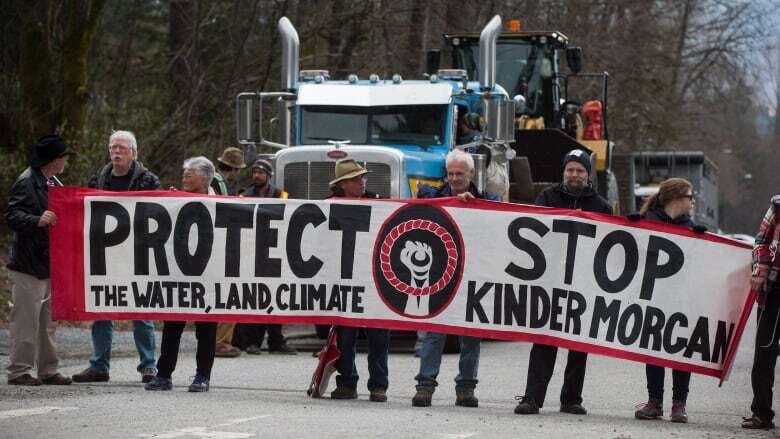 Kinder Morgan wants to build a new pipeline to send bitumen from Alberta to the B.C. coast. 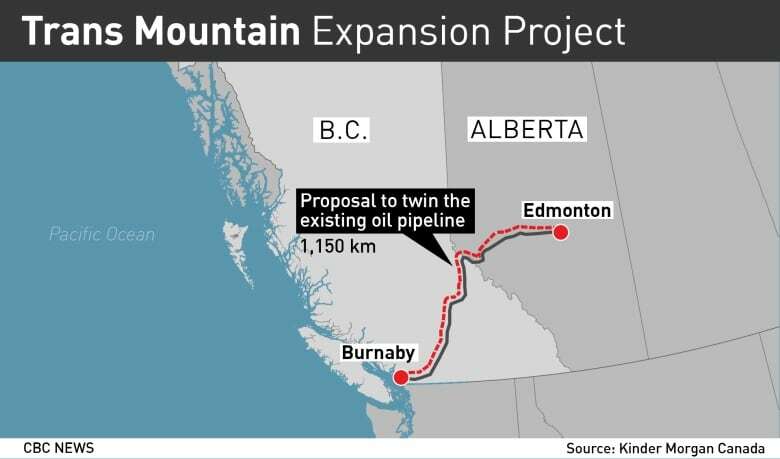 And on one side of the controversy is industry, the Alberta and the federal governments, which say this new pipeline is in our national interest. On the other is the B.C. government, many Indigenous communities, and environmentalists. Those against the pipeline say they're concerned that if this pipeline goes forward, we won't be able to meet our federal climate targets. They're also concerned about potential spills into the freshwater environments, communities inland and on the coast, or in coastal marine waters. Dr. Bruce Hollebone, a chemist with Environment and Climate Change Canada, says, "We all have to understand that any spills could have a significant impacts." Back in 2015, the Royal Society of Canada concluded in a report that we lacked the science to know what effect a diluted bitumen spill would have on ecosystems. "One of the things that outlined [in the Royal Society Report] was we tend to know a lot about the starting material; the bitumen and the diluted bitumen portion itself," says Dr. Bruce Hollebone, a chemist with Environment and Climate Change Canada. 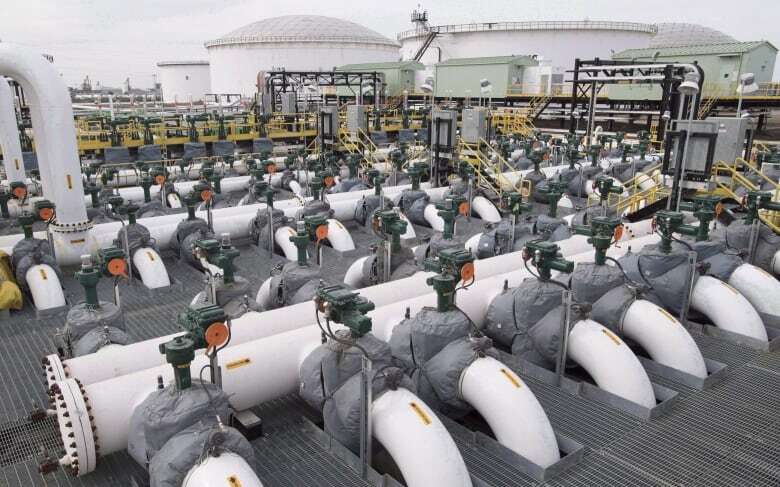 "We know a lot less about the potential receiving environments where the spill might happen. And one of the emphasis that was put in that report was that the interactions in a particular environment needed a lot more work." To move through the pipeline, the bitumen that's extracted from the Alberta oil sands gets mixed with a diluent to make it less viscous, so it travels more easily. Dr. Hollebone says the oil industry usually uses a material called a condensate, which is very much like a gasoline. "The diluted bitumen behaves initially a lot like a light crude oil. It's fairly fluid. It can spread and disperse fairly easily. But the thing that we need to pay attention to with diluted bitumen is how rapidly that behaviour can change," says Dr. Hollebone. The more the condensate evaporates, the more viscous the diluted bitumen becomes. "It can go from something like a light crude product to something much more like a heavy fuel oil that might be used at sea with ships," says Dr. Hollebone. Dr. Hollebone describes how in a marine environment, the diluted bitumen usually floats on the surface. "Seawater is denser than freshwater, so it's easier for it to remain floating in the sea. The other factor that often drives sinking or submergence is the ability of the oil, which might get dispersed into the water column, to interact with sediments in the water column. And there's comparatively fewer of those in most of the marine situations than there are in say a freshwater situation." The big unknown when it comes to a potential spill in marine water is the effect it will have on the ecosystems there and what to do - should some of it spill to the bottom. When the Minister of Natural Resources, Jim Carr, was asked on CBC Radio's The Current on Monday, April 16, 2018, if he was satisfied that the studies have been done - to his satisfaction - about the effects of a possible spill in coastal waters, he said, "Yes." "We believe that the science has been made clear. We're in better shape than we've ever been before." 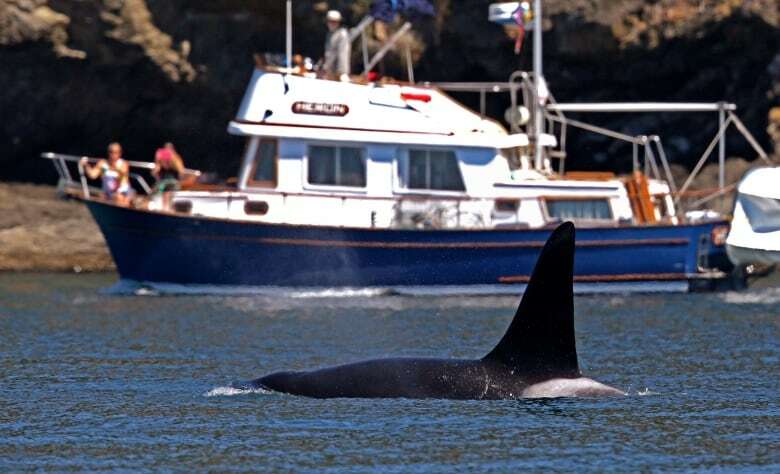 According to Dr. Wendy Palen, an associate professor of ecology of aquatic communities at Simon Fraser University, who co-authored a paper that reviewed over 9000 peer-reviewed studies about the effects of bitumen in marine ecosystems, the science is not there yet. "My concern is, and that of my colleagues, is that a lot of those studies haven't yet been conducted on the basic toxicity that these different bitumen products might have on different organisms in the marine ecosystem. So things like fishes or marine mammals or even the base of the food web in terms of our primary producers like eel grass and kelps," says Dr. Palen. "Our perspective on this, and mine in particular, is that it is very hard to feel reassured by claims that a robust risk analysis has been done and you know reassurances about ability to clean up spills when they happen." Dr. Hollebone says, "Any spill will impact wildlife. The question, I think, is how much of that do we know at this stage? There certainly has been more work in the past few years particularly on species of concern in the marine environment, like salmons and other creatures. There's always place to do more. I think however it is very right to say that we know a lot more about individual species than we certainly do about habitats." The inland environments the Trans Mountain pipeline extension will pass through also has many scientists and environmentalists worried. Dr. David Schindler, a professor emeritus of biological sciences from the University of Alberta, says he's extremely concerned about the 800 rivers and streams this new pipeline will cross, many of which flow into the Fraser River system, which is already on life support, as are the orca populations that depend on the fish in the river. "We already have a cumulative effect problem of dams, communities, mines. There are over 300 plaster mines alone in the Fraser basin. We know that as a result of all of those things, we're seeing trouble with both Steelhead and Chinook populations," says Dr. Schindler. "It's almost like we're looking for a way to finish the Fraser off." Freshwater systems are very different than marine waters. For one thing, they are smaller and more contained, which in that sense, would make it easier to clean up than if a similar spill were to happen in the ocean and the oil starts to sink, like it did in the Deepwater Horizon spill. On the other hand, the soft soil and suspended sediment in freshwater systems adds another layer of complication when it comes to clean up efforts. "The density of the freshwater is obviously lower than that of seawater, the oil is more at risk to sink in freshwater certainly," says Dr. Hollebone. "Secondly, there's often quite a lot more sediment in the water, So things for the oil to interact with in the water column, particularly if you're talking about a high water condition like a flood or even just a really heavy rain storm that can stir up the bottom. It can mix the oil into the water. And finally there's often a lot more shoreline for it to interact with." In 2010, Dr. Hollebone worked on the Michigan Kalamazoo River clean up after a pipeline, carrying diluted bitumen operated by Enbridge a diluted bitumen, burst. That resulted in the one of the largest inland oil spills in U.S. history. 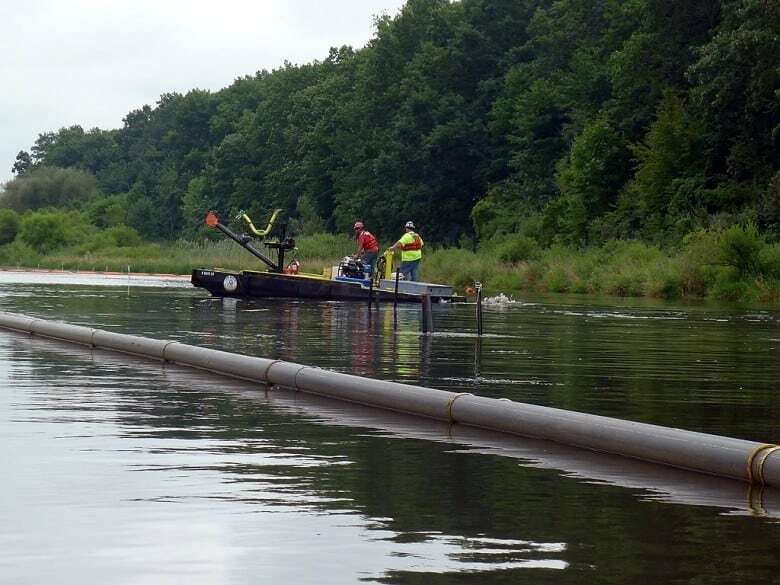 "That took several years to get to the point where they felt they were ready to say the spill was, not even fully cleaned up, but at the point where they could leave it for the long term," says Dr. Hollebone. "Sinking and sedimentation of oil in freshwater systems can be very serious." At the time, he says, they didn't fully understand how diluted bitumen would behave in freshwater. But they've gained more experience since then. Dr. Hollebone cites the example of the North Saskatchewan River in 2016 when a buried pipeline ruptured, causing another spill. "There we could make decisions about what we had to look for, where the oil might mix into the sediment, where it might end up so that we could get on that right away. And in terms of cleaning up things, like the bottom parts of the river, we could make those decisions quicker and in a more informed way." Dr. Hollebone says he's hoping they'll bridge some of the gaps in our understanding of how a diluted bitumen spill would react in freshwater systems. Work is continuing to improve marine safety and responsible shipping, especially to see how the results they've seen in the lab translates in the real world. This summer, work will begin to study the effect of a diluted bitumen spill in the Experimental Lakes Area in Ontario to look at the fate and behaviour of dilbit in a Boreal freshwater lake. "I won't say we're ever going to be perfect," says Dr. Hollebone, "But I'm more comfortable where we are today than where we were in say Kalamazoo 2010 - 2012." 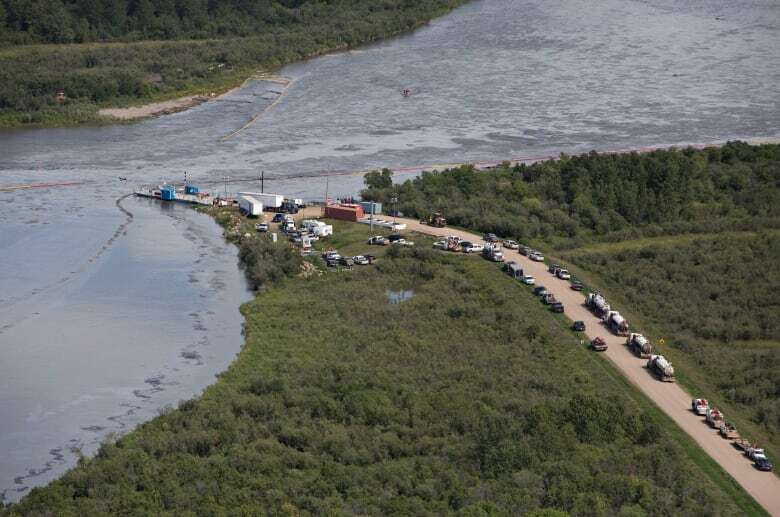 "Natural Resources Canada is satisfied with the studies that have been conducted about the effect of a potential diluted bitumen oil spill and subsequent clean up in freshwater systems. Studies have included both fresh and salt water ‎tests. In particular, a series of tank tests using fresh water (North Saskatchewan River water) including sediment from the river flood plain have been conducted for periods of time of up to four weeks. 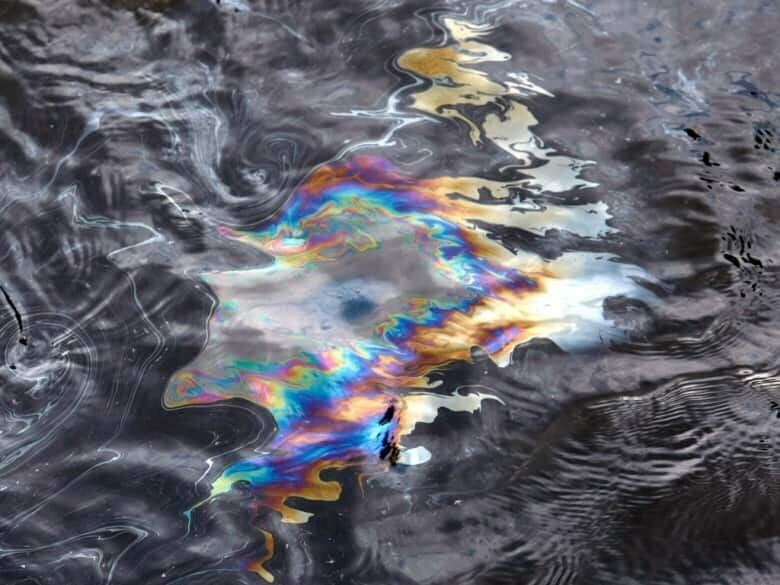 Under the conditions tested, the earliest that a diluted bitumen submerged was after twenty-one days; otherwise, the high recoveries of the floating oil masses were obtained with less than 20% of the oil being lost to water and sediment. The Government of Canada's $1.5 billion national Oceans Protection Plan (OPP) enhances incident prevention and response from coast to coast to coast. Under the OPP, researchers continue to examine how oil spills behave in Canada's waters – including freshwater – and specific environmental conditions, how to best mitigate impacts, and how we can access the best technologies and methods available for environmental response." Why doesn't life continue to spontaneously occur around hydrothermal vents in the ocean?